Hi again. 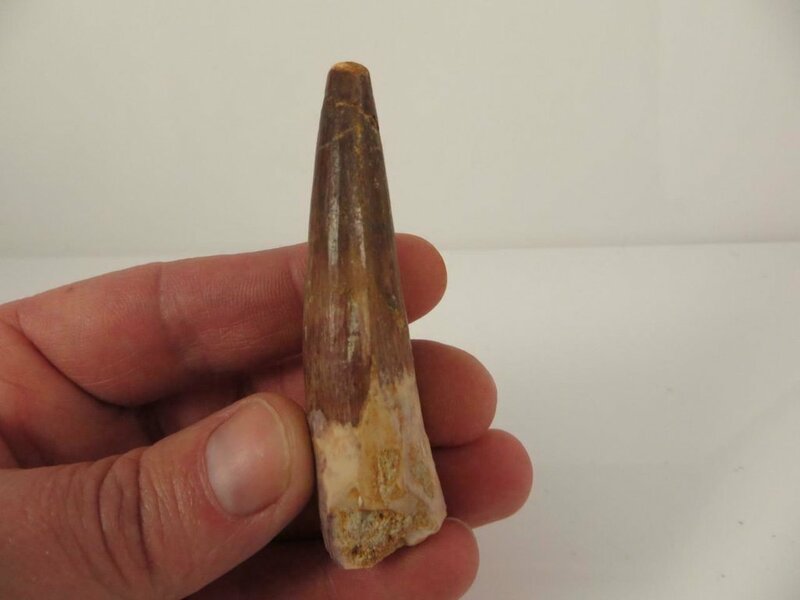 im trying quite hard to find quickly a good spinosarus tooth thats real/not fully fabricated. Seems to be a beter specimen than the last you showed. Not top grade, but a decent one. 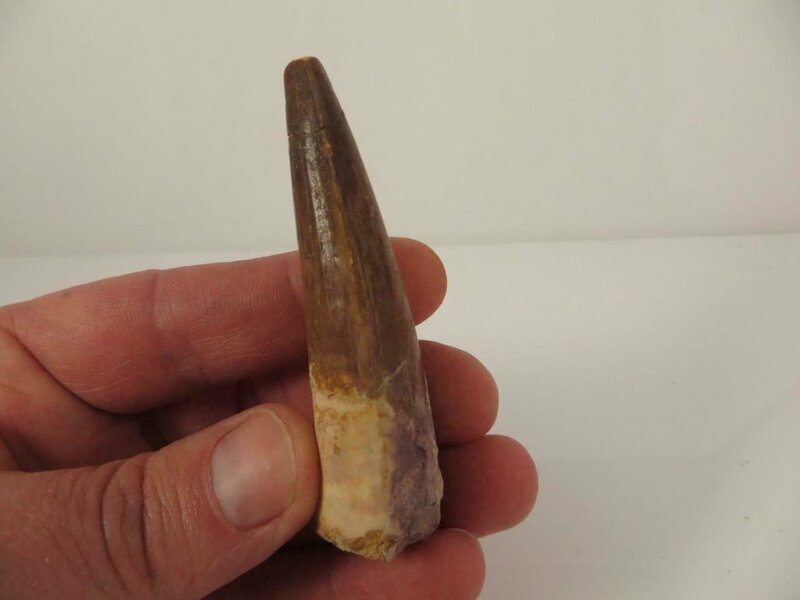 It's a Spinosaurid tooth, either Spinosaurus aegyptiacus or Sigilmassasaurus brevicollis. 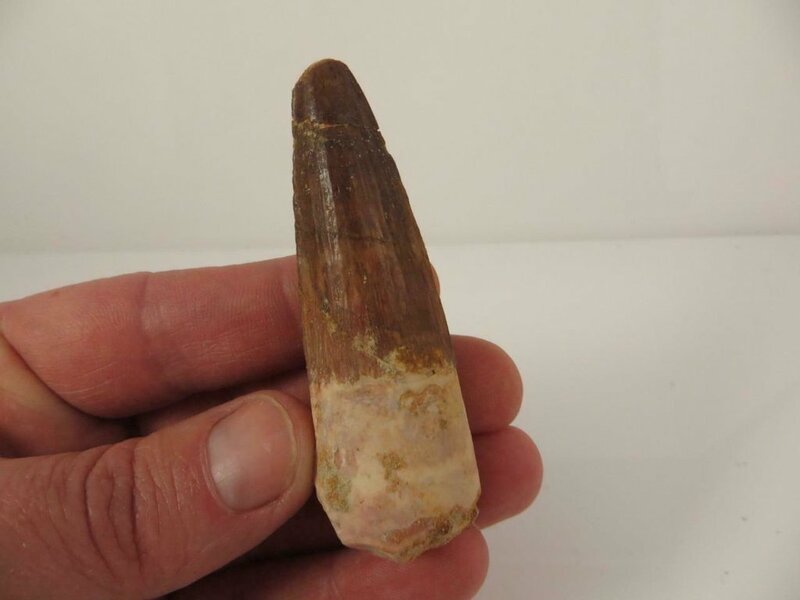 The teeth of these species can't be distinguished between one another, so the most accurate ID is Spinosaurid indet. 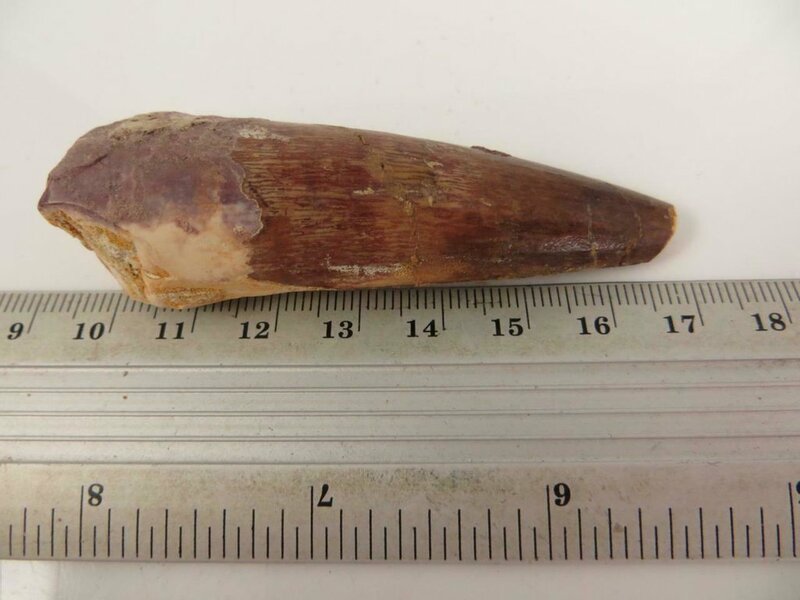 The tooth is from the Kem Kem beds and Cenomanian in age.